Why Invest in Application Security? A guide to the importance of software security for tomorrow's business leaders. Software is eating the world, but also has its own predators. As humanity plunges deeper into the digital age, reputation and trust are becoming increasingly important to gaining or maintaining one's footing in the global marketplace. Trust is hard to build and very easy to lose. If any business wants to be successful going forward five, ten, even twenty years from now, then they need to protect their brand from digital threats, both external and internal. For any company that produces or uses software, this means investing time and resources into the security of their software. 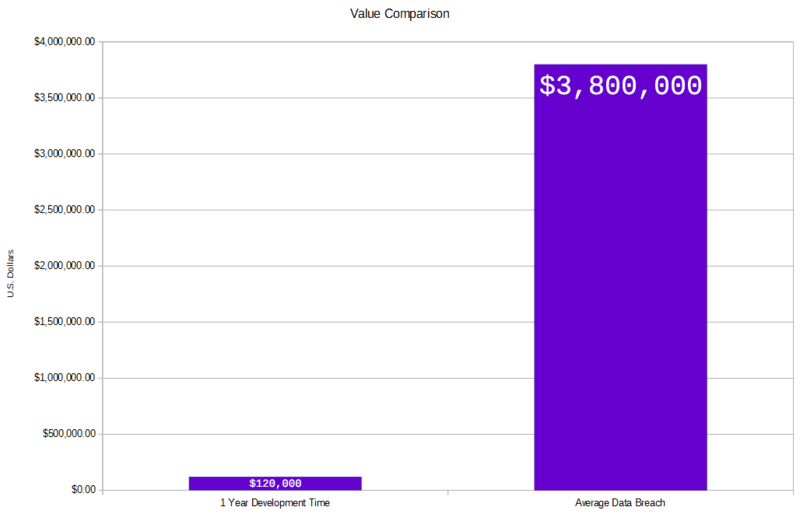 A single data breach can easily cost your company millions of dollars. This figure doesn't encapsulate the long-term cost incurred when customers walk away with no intention of ever coming back. By taking steps to ensure the software you depend on for your day-to-day business operations is secure against all known threats (especially if it's an in-house product), you significantly lower the odds of a breach occurring. One positive side-effect of learning how to write secure applications is that developers write better code. This effect has been observed by security professionals in every level of the technology industry. Secure software is necessarily less buggy than insecure software. Less bugs lead to improved workflow, which means that all parts of any business will receive fringe benefits from investing in security. According to IBM, the average data breach cost its victim $3.8 Million in 2015. Simply put: Neglecting the security of the applications you use and/or develop is penny-wise, but dollar-foolish. Cutting security from your budget can seem like a way to shave a few hours or dollars off a project, but chances are the inevitable disaster recovery and incident response costs will outweigh your initial savings (possibly by several orders of magnitude). Furthermore, if your application security investment is focused on training your existing development teams to engineer your business solutions with security in mind, habitual best practices, and experience discerning vulnerable code from secure code, your investment will pay forward to enhance the security any other projects your team develops for the foreseeable future. Hiring and retaining a skilled professional with extensive application security and software development experience is not a trivial undertaking. Many security professionals (especially those who focus on the network layer) are not programmers, and many programmers do not have extensive knowledge of secure software development best practices. If you are concerned about filling this role within your organization, consider hiring an external team of application security consultants.